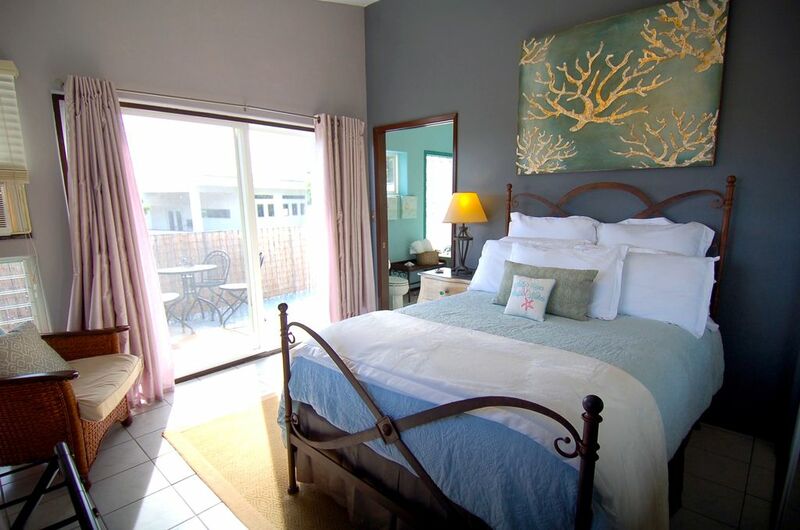 Enjoy the beauty of Oahu, and then retreat to your quiet secluded guest house, Hale Wa'a; which translated from Hawaiian means Canoe House and it is our "The House By The Sea". You have picked the best location to stay as we are centrally located to most everything on Oahu. Hale Wa'a is located right off the main roadway that circles Oahu. Our neighborhood is peaceful and quiet. We are minutes from Waikiki, Hanauma Bay, shopping and the beach. This property is in the perfect intersection of downtown Waikiki and the beautiful nature of Oahu. We provide amazing ocean views from the Lanai and you can enjoy the light trade winds coming in provide the perfect environment to relax. I love taking a walking around the quiet neighborhood. Waialae Iki park is a short 1 minute walk away where you can enjoy the playground equipment and 2 basketball courts. There is also a huge field for running and exercise The beach across the street is only a 5 minute walk away! Downtown Waikiki and Honolulu is a short 10 to 15 minute drive away providing a lively atmosphere. The Kahala Beach is the closest located beach to our house and is a short 5 minute walk away. The ridges of Oahu are located directly behind our house and there are various hikes along the ridge that are a short drive away. From the Lanai, there is a beautiful view of the Pacific Ocean, and it is a short 5 minute walk to get there. Available in the entire house. We have an instant coffee maker that we provide pods for as well as a slow drip coffee maker. Utensils, Plates, Cups, Wine Glasses, you name it we got it. There is also AC that keeps the dining and living room areas downstairs cool from the humid tropical weather. Full Board Game selection to choose from including Monopoly, Scrabble, and Sequence. We also have many board games available. We have 4 Tennis Rackets and Balls for you too enjoy as well! There is a few golf course recommendations I have and I may be able to get you a local discounted rate. We have a ramp leading up to the guest house. There are stairs leading up to the bedrooms. We do have security cameras stationed outside of the guest house monitoring the street activity and activity on the side of our house. We have these cameras for your safety as well as ours. Clean, comfortable, convenient rental with all needed amenities included. A special thanks Elaine for your hospitality and advice. We would highly recommend staying here. We hope to be back one day! Q & Elaine were wonderful hosts. We really enjoyed our stay. Both of the bathrooms were great and all of the items they provide for you is fantastic. As well as the towels and beach towels they provide. The master with the Double bed is great! The second bedroom is quite small, and the trundle bed is a little awkward. Bunk beds might be a better option. Storage is an issue, if you have the trundle bed out that entire time. The kitchen is fully equipped and thoughtful. The “couch” that is in living room belongs outside. It is short and very uncomfortable. If we weren’t at the beach all-day long, it would have been a bummer. Overall, we loved staying there. It’s in a very quiet neighborhood with thoughtful and caring home owner’s. Highly recommend enjoying a vacation at their home. I would stay again. Thank you again for staying with us Malinda and glad you enjoyed your stay! I came for a wedding, and was looking to do some sightseeing as well- with my two young adult children, and my partner. The condo was nicely located near the airport, and close to things to do. I chose this location as well for its proximity to the hustle and bustle of Waikiki. We were busy with the wedding, although on our off days we easily drove to the beach by the Kahala Resort (all beaches are public access in HI) and spent some time there (a quick 5 min drive). The accessories that were available like the beach chairs, snorkel Gear, umbrella, were amazing to have. My young adult children were nicely separated from us in their own room with the layout, and also loved the bathrooms being on separate floors. Kitchen was fully stocked for cooking, making Pina coladas :) I fell in love with the soaking tub, such a great treat for relaxing. The views are amazing, from each window. The place was spotless and I am very picky about that! this was my first VRBO in which I felt AT HOME. Quinten was a delight, helpful; thought and care was put into this place for sure. The only thing for me that was challenging was the bed in the master was smaller than what we were used to, as we have a king at home. Everything else was absolutely the best VRBO/air BnB experience I have had. Mahalo for this wonderful visit. The property is in a nice location with easy access to food and restaurants. The fruit and juice upon arrival was a very nice touch. Quinten was very helpful in providing suggestions of where to eat and what to see. There is definitely a need for some updating of the fridge, stove, shower and some tile work of the unit. Thanks for the review also! Sorry it did not meet your folks expectations in those areas. Will will definitely try to improve for the future though! This property offered the four of us a delightful first stop in the beautiful state of Hawaii. Hale Wa'a is a sweet two-story bungalow with all the amenities. Also it's a convenient location for driving to historical sites, Waikiki, or any spot in any direction on Ohau. Quinten's property is a great value, and Quinten is a very accommodating and considerate owner. great place. Great location and significant attention to details. Special warm welcoming atmosphere. The unit has absolutly everything you could need, including beach equipment, every kitchen item and a warm comfortable atmosphere. It is clear Quinton wants to be available and is next door. I have not stayed in a vrob where I have felt more attention has been paid to detail. We were welcomed with a fruit bowl, a basket of chips and delicious ice tea. I would highly recommend this accommodation. Whether you decide to rent a car or use public transportation, our central location makes it easy to get around to the hottest spots in Honolulu. **The main roadway in Oahu, as well as the bus stop, are a short 2 minute walk from our house as is a beach. The Kahala Mall is minutes from the house with Whole Foods and Starbucks. In both directions are grocery stores and drug stores, movie theaters, shopping, anything you can ask for. All are not more than a 5-10 minute drive or bus ride. *Waikiki - 15 minute Drive, 25 minute Bus Ride *Ala Moana - 15 minute Drive, 35 minute Bus Ride *Diamond Head Hike - 10 minute Drive, 22 minute Bus Ride *Kahala Shopping Center - 5 minute Drive, 7 minute Bus Ride *Hanauma Bay - 15 minute Drive, 25 minute Bus Ride *Hawaii Kai Shopping Center - 10 minute Drive, 17 minute Bus Ride *Koko Head Hike - 10 minute Drive, 23 minute Bus Ride Our neighborhood is perfect for taking walks, and you can walk down to the beach across the street from our house! Waialae Iki Park is a short 2 minute walk from our house and includes a Basketball Court, Grass Field for soccer, and a playground with play structures for kids. **Hawaii State Mandated Tax Laws 9.25% Transient Accommodation Tax Charged to Vacation Rentals (TAT Tax ID TA-040-387-9936-01) 4.5% General Excise Tax Charged for Any Business Dealings in Hawaii (GET Tax ID GE-040-387-9936-01) The State of Hawaii requires we collect this separately from AirB&B bookings. Upon arrival, we will give you the hard copy of the terms and Conditions to sign and we will accept the tax portion via Check or Cash. The last page of the contract will be your receipt for this. ** We have a few small pets who are very quiet, esp the turtle. None go into the guesthouse at any time.